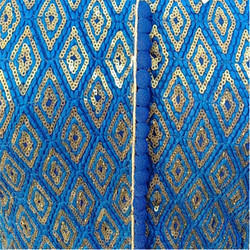 Our range of products include machine embroidery zari work, resham border machine embroidery work, machine embroidery sequence work and machine embroidery dori work. 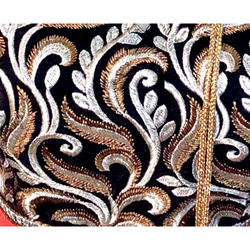 Backed by rich industry experience, we are engaged in offering to patrons a qualitative gamut of Machine Embroidery Zari Work. These zari work services are executed as per client’s needs. In addition to this, offered an array of zari work services is rendered using the top grade materials and at very affordable rates. 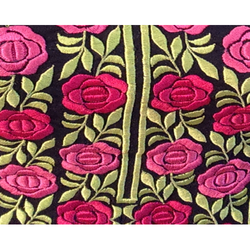 We are offering Resham Border Machine Embroidery Work. Due to deep knowledge of the industry, we are offering a large range of Machine Embroidery Sequence Work to our customers. 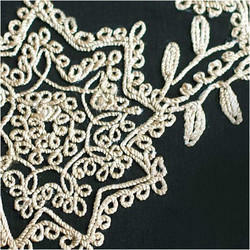 Offered array of embroidery sequence work services is rendered as per quality norms. In addition to this, offered embroidery sequence work is much admired due to their perfection and client-focused approach. With our vast experience & knowledge in this field, we are offering the best quality array of Machine Embroidery Dori Work to our prestigious clients. This Dori work service is available to us in various options at most reasonable rates. In addition to this, these machine embroidery Dori work services are admired for its low cost, accurate work, and timely execution. Looking for Machine Embroidery Work ?